We all enjoy orienteering ‘off path’, venturing into areas where there is undergrowth – and there the ticks are lurking, seeking out anything warm-blooded! A tick bite can cause moderate to severe health issues through the transfer of a whole host of things (viruses, bacteria, parasites, poison). This does not work if you are an orienteer! The article below is based on my personal experience as I try to avoid tick bites as I react to them, having an itchy swelling for over a week after getting one. I would like to hear how you prevent tick bites. We have to think about prevention – how we can avoid getting ticks on us in the first place. remember that ticks can be very small, less than the size of a pin head. First of all, consider your clothing. Let’s start at our feet and work up. One of the ‘rules’ for orienteering is that we have to wear full leg cover. It is not enough to just have this. Alpkit Kantju running gaiter: I have recently changed to using this gaiter and have found it to be very good. The material is tough enough to withstand the rigours of orienteering terrain, it is a tight fit (once you work out what to do with the spare of the underfoot strap). The strap can be tightened and the Velcro adjuster keeps the top tight. 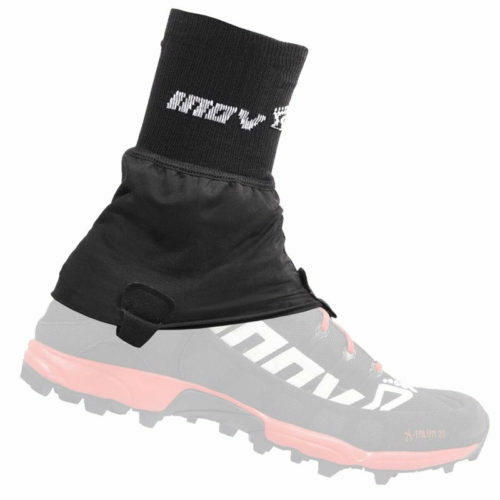 Inov8 Debris gaiter: for many years I have used these, they have a knitted cuff around the ankle. Orienteering is fairly hard on this and so reasonably frequent sewing of holes is necessary. The Inov8 gaiters which clip onto the shoes (rather than having the underfoot ‘elastic’) are not a tight enough fit. 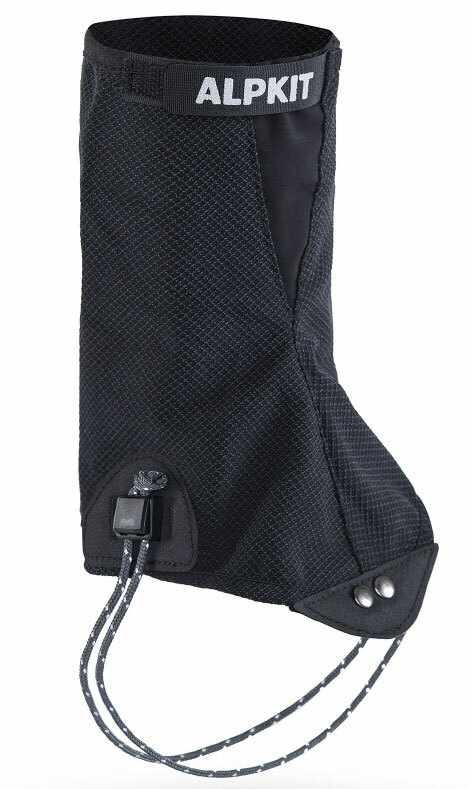 If you have the right shoes their new All Terrain gaiter may work for you. 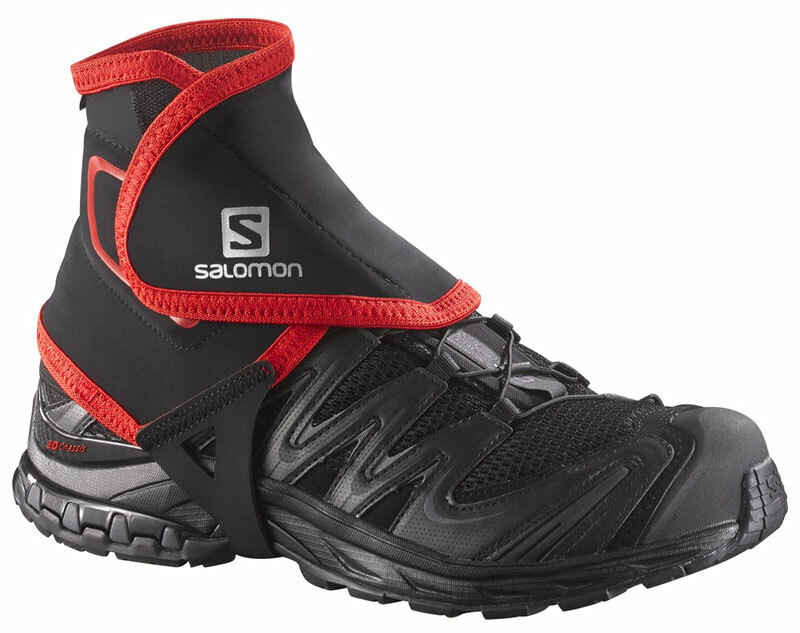 Salomon Trail gaiters are another option. What about long socks? 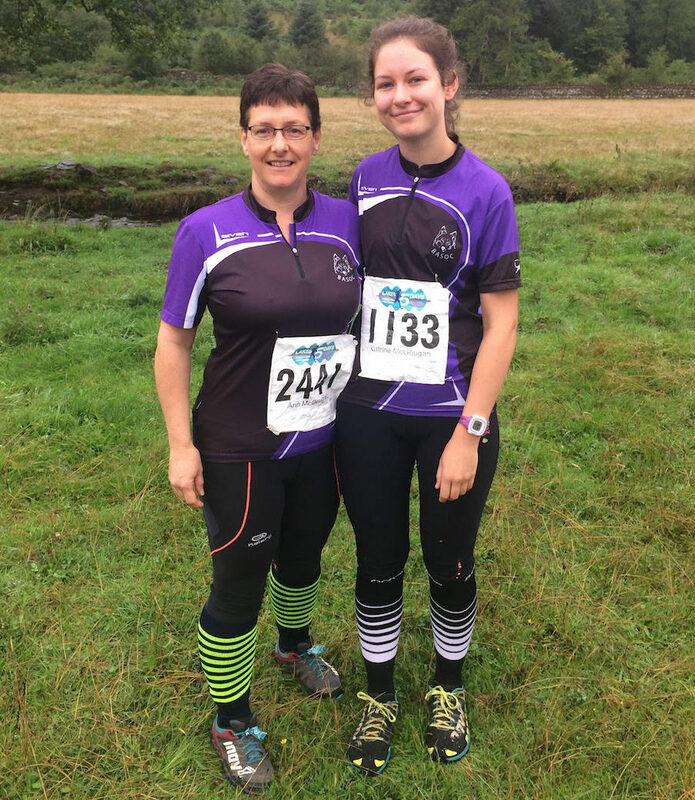 The question is ‘Are you forming a seal between tights and socks?’ Have a look at the photo of Kat & Ann at the Lakes 5 Days with their tights tucked into the socks. Are the socks thick enough to prevent ticks getting through the material? Now to your tights. Orienteering is rough on tights and it is easy to snag the material and a hole appears. Yes it is a nuisance but sewing up the hole can stop ticks getting in there! Most tights have mesh in places – is the mesh dense enough to stop ticks? Moving up the body to the waist / torso area. Ticks can move on clothing and make their way onto our torso if there is no ‘seal’ at the waist. We usually (when it is warmer) run with just a top on and have this outside our tights. Ticks can make their way onto our torso very easily through this gap at the waist. I usually wear a 'technical vest' under my O top – this allows sweat to be wicked away from the body as well as being a barrier to ticks. Search for things like ‘lightweight mesh base layer’. They can be sleeveless or have short sleeves. Once the weather becomes cooler, we revert to thermals under O tops and provided these are tucked in, there is a barrier to ticks crawling onto our torsos. What do you do about sleeves and necks? Well a short sleeved base layer can help as it is close fitting but it is almost impossible to keep them out. Again when we are wearing a long sleeve thermal the risk of ticks getting in is less and we might also be wearing a buff which will help in the neck area. Consider spraying clothing, concentrating on the sleeves & neck openings. I have a personal hatred of chemical sprays (e.g. sprays containing DEET) so have looked into alternatives and would like to hear from others as to what they use. Smidge might work (it makes no claims about ticks); various essential oils (tea tree, eucalyptus, peppermint, citrus, geranium, lavender) all make claims that they can be used to repel ticks. It is possible to make up your own spray with one of these oils added. We could be the best smelling orienteering club in Scotland!! OK, clothing has been dealt with. Now think about your actions while out in the environment and when you return home. Sitting on the ground gets you close up and personal with the ticks; I am sure I got most of my ticks this way when at Balliefurth / Auchernack in August. So if you have a meltdown while out on the course, avoid collapsing in a heap on the ground, just go for a stomp around instead! Bring a chair or stool to sit on in assembly. After the race or training session, what do you do? If it is training, I go home and strip off at the washing machine. If I have to change, I put my O kit into a plastic bag and make sure that the top is tightly closed; it then goes straight into the washing machine. It has been shown that ticks on moist clothing can survive for 2 – 3 days. You should consider a warmer temperature for this wash.
Shower as soon as possible after the training / event. Cold and medium temperature water will not kill ticks effectively. Showering within two hours of coming indoors has been shown to reduce your risk of getting Lyme disease. 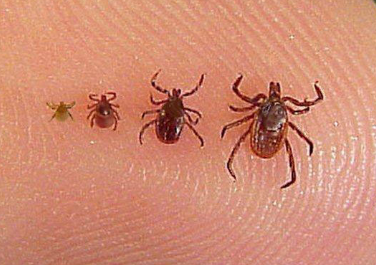 Showering may help wash off unattached ticks and it is a good opportunity to do a tick check. Continue the tick check for at least a couple of days as they might not be seen at first as they can be extremely small. There is a lot of information about removing ticks, we have tick removers everywhere – in my O kit box, in the car, in the First Aid kit, in the bathroom, in a bowl in the lounge . . .
A Tick Research Project is currently happening in Scotland. Further information about this can be found on the SOA website. The stopthetick.co.uk website is very useful (a lot of the information on the web is from North America, this one is British).